Our goal is to connect people with the best local experts. We scored electricians on more than 25 variables across five categories, and analysed the results to give you a hand-picked list of the best electricians in Lafayette, LA. A&P Electrical Service, Inc. is an electrical contractor that has been serving clients in South Louisiana for more than 38 years. Being in the industry for more than three decades, they are committed to continuing the kind of service that their clients expect from them. They offer a wide range of professional services which include electrical services, electrical construction, overhead bridge cranes, security and telecom, A&P dogwatch, and other special services. With their team of professional and dedicated electricians, clients never have to worry when they experience any electrical problem. They also offer 24-hour emergency service so they can immediately respond if customers need electricians right away. From residential, to commercial and industrial, they can provide the needed electrical solutions. Arceneaux Electrical Service LLC is a team of residential and commercial electricians based in Breaux Bridge, Louisiana. They offer full electrical services, including new wiring, new socket installation, and lighting repair and installation. Lighting consultations help customers choose designs that are aesthetic and cost-effective, which can also enhance their property values. Specialties include panel upgrades, generator repair, and parking lot lighting. Other specialties include installing solar panels, sound systems, and kitchen appliances. Their troubleshooting team quickly identifies damaged components and other problems that cause systems to function improperly and unsafely. The company offers fast response times, reliable service, competitive pricing, and emergency service. Begnaud’s A/C & Electric has been taking care of air conditioning, heating and electrical repair problems of people throughout Laffayette, LA, and the surrounding areas for more than three years. Combining more than 25 years of experience, the licensed team of skilled technicians has developed a great understanding of customers’ needs and strives to satisfy them at reasonable prices. Their reliable expertise lies in air conditioning, heating and electrical services, including maintenance, inspection, installation and system relocation, troubleshooting procedures, all carried out with high regards to increasing both the life and the efficiency of all devices. Realizing that time is often of the essence, Begnaud’s has a 24/7 emergency service and operates in a timely and reliable matter. The company offers free estimates and undertakes projects of all sizes. Cajun Electrical Service serves homeowners and commercial enterprises in Church Pointe, where it takes on jobs both large and small. It helps people to bring their electrical grids fully up to code, as well as helping clients to improve their energy efficiency. Cajun Electrical Service is focused on delivering a professional service, and it prides itself on the courteous and friendly attitude of its staff. It is also committed to fair and transparent pricing: it charges only for the work and parts that are necessary for each job. The electricians employed by the firm are all fully licensed, certified, and insured. They are experts in fluorescent lighting, incandescent lighting, air conditioning systems, security systems, and audio-visual equipment. Cajun Electrical Service offers a 100% quality service guarantee. Chris' Electrical Service, Inc. is a comprehensive professional electrical company operating in the city of Lafayette, Louisiana, and the surrounding Southwest Louisiana areas including Baton Rouge, New Orleans, and Lake Charles. Chris' Electrical Service, Inc. is a licensed and insured business specializing in electrical solutions for residential and commercial properties. This company provides a broad range of services including electrical upgrades and improvements, transfer switches, smoke detectors, repair and installations, fan installation, holiday lighting, circuit breaker replacement, security lighting, ballast and bulb replacement, and generator installation and maintenance. Customers recommend Chris' Electrical Service, Inc. for their safe and reliable service. JEH Solar is an electrical contractor with over 28 years of experience serving residential and commercial customers throughout Lafayette, Iberia, St. Martin, Evangeline, St. Landry, Avoyelles, and Rapides parishes. They provide electrical repairs, wiring and rewiring, outdoor lighting installations, LED lighting retrofits, electrical inspections, generator installations, and more. As a certified solar installer, JEH Solar can install, service, or repair a complete solar system and help customers determine the right system for their needs and budget. Solar systems can also include a battery backup. JEH Solar is fully licensed and insured, and they're proud to have an A+ rating with the Better Business Bureau. The qualified employees with King Electrical & Controls, LLC can serve commercial and residential properties and take pride in their quality and quick responses to service calls. They provide a wide range of services such as the installation of electrical panels, ceiling fan installation, home generator installation, general wiring repairs, and electrical service upgrades to more state of the art systems. King Electrical & Controls, LLC can help people in the Greater Lafayette region and features a 24/7 emergency service to help people facing urgent issues that require immediate attention. Previous clients recommend the company to others because of its customer service and employees’ quick thinking while at work. Magnon Electric is an electrical contracting company operating in Lafayette, Louisiana, and has served commercial, residential and industrial clients since 1945. The company offers 24-hour service and callouts and is available for general service calls. It provides a broad range of other services, including computer, telephone, and CCTV wiring, service calls, parking lot lighting maintenance, landscape, security, and swimming pool lighting, ceiling fan and emergency generator installation, trenching, repair or replacement of electrical services, underground utility construction, conveyor system repair, building maintenance, and much more. Magnon Electric is proud of its reputation and maintains a list of references from clients and business contacts for review by interested consumers. Randy Richoux Electric Service has been serving homes and businesses throughout the Lafayette area since 1946. They never withhold on providing clients with quality service and individualized attention, and they utilize the best parts and equipment available. Their friendly team of electrical experts is dedicated to offering courteous assistance and easy scheduling at affordable rates for jobs of all sizes. 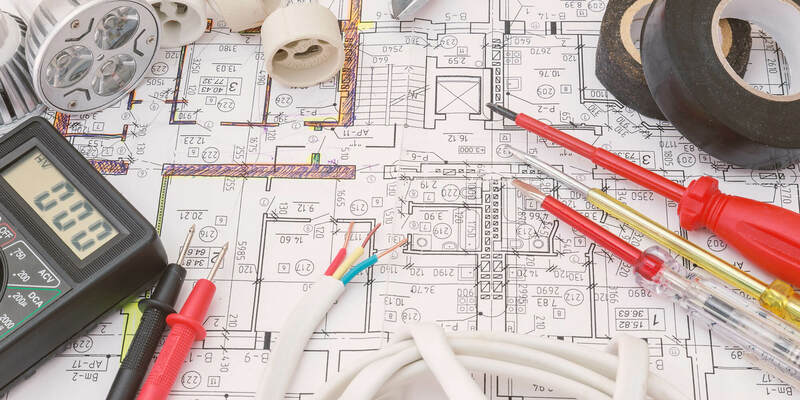 Randy Richoux Electric Service provides a full range of residential and commercial electrical solutions including complete installations for new construction and remodels, wiring and rewiring, service and component upgrades, and repairs. Free quotes are available as well as 24/7 emergency repair services. RT Electric is an expert commercial and residential electrical contracting company located in Broussard, Louisiana that strives to provide their customers levels of quality standards, affordability, and workmanship that is unrivaled by their competitors. Since the company was founded, it has earned a great reputation in the eyes of the community based up their unwavering dedication to providing the ultimate experience equipped with superior customer services, unparalleled workmanship, and a timeliness that is relatively unheard of. RT Electric is proud to provide their customers a broad range of electrical contracting services such as light switch installation, custom lighting, home theater wiring, pool wiring, track lighting installation, landscape lighting, electrical sign repair and maintenance, parking lot lighting, new circuit installation, and more.